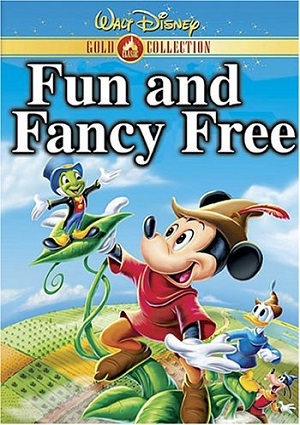 Featuring two different film segments, Fun and Fancy Free is a must-watch for all the young girls and boys. The first segment, “Bongo”, tells the story of a circus bear that escapes from his prison and starts a new life in the forest, meeting Lulubelle, his future partner. The second segment, “Mickey and the Beanstalk”, is an adaptation of the classic tale “Jack and the Beanstalk”. Mickey, Donald and Goofy live in a valley (Happy Valley) where there is barely any food. After exchanging a cow for some magic beans, their life will change for sure.